Starting seeds indoors has many benefits, including an earlier harvest. While some crops can be direct seeded, you can start them indoors and move up the harvest date. Another perk of starting seeds indoors is the ability to grow long season crops in short season climates. If you have to wait for outdoor soil to reach the optimal temperature, you’ll miss out on growing days. But by starting seeds indoors and transplanting them when the time is right, they’ll have a head start on growing. 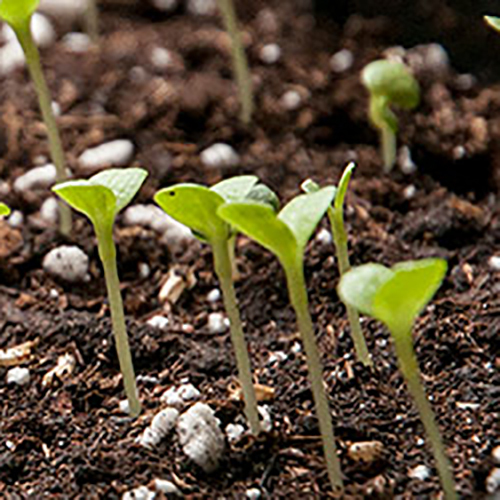 A little planning makes seed starting more efficient and will help set you up for success. 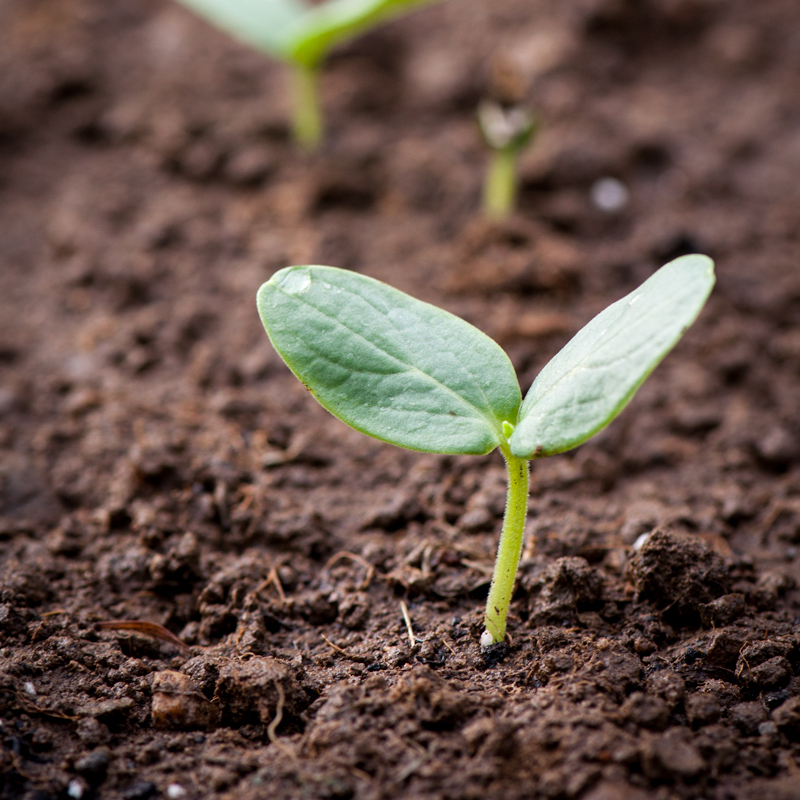 Almost every seed can be started indoors, but people typically start long season crops, like eggplants, okra, tomatoes, broccoli and kale, indoors. Some plants do not fare well as transplanted or need to be transplanted at the right stage of growth so they aren’t stunted by stressors. Peas, beans, radishes, carrots, and corn perform best when they are direct seeded, straight into the garden. Consider how much space you have indoors to house your started seeds and how you will nurture the seeds as they grow indoors. Keep your outdoor space in mind, too. You’ll want to have enough transplants to adequately fill your garden plot. Take a few minutes to sketch out your garden and determine where you’ll plant each crop of transplants. Once you know how many transplants you’ll need, you can determine how many seeds to purchase and plant. It’s also smart to add a few extra seeds to account for things like seedling mortality. Research is also key during the planning phase. 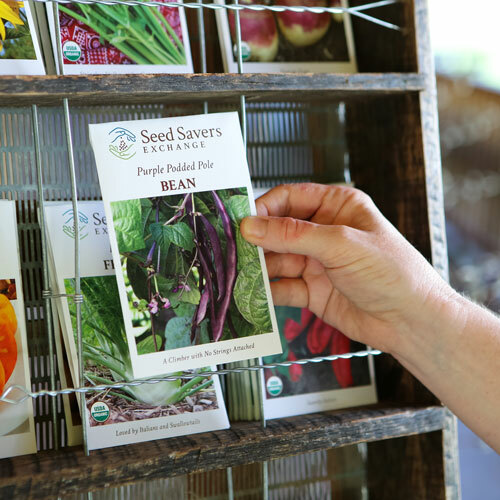 Seed packets often have guidelines about when to start seeds indoors, germination information, days to maturity, and other growing tips. But know that recommended seeding and start dates are just that: guidelines. Understand your local climate nuances (for example, a history of late, surprise frosts) and adjust as needed. The right tools and supplies are also important for seed starting. Early plant nutrition is vital and the right potting mix/media will provide the right nutrients. 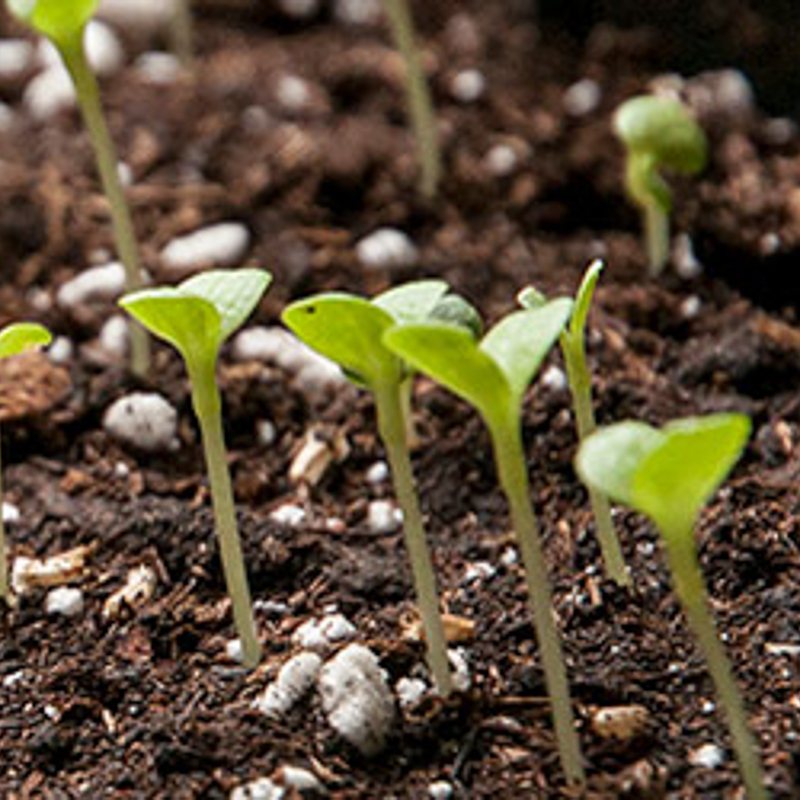 Your seedlings will spend their first crucial weeks in their starting cells and they will need additional nutrition from compost or liquid fertilizer. Plants are like humans - if they don’t have the right nutrition, they are more susceptible to diseases and pest infestations. But that doesn’t mean you have to splurge on potting mix, especially if you are seeding out something that will be transplanted in a week or two. You can also amend a mix with compost. When amending, use at least 20% compost (35% is ideal). Use finished, not raw compost. Compost can be sourced from places like your municipality, garden centers, or other gardeners. But be sure the compost doesn’t contain herbicide residues, which can kill seedlings. For example, don’t use compost that’s been made from grass clippings that have been treated with broadleaf herbicides. Container options for seed starting vary greatly and you can certainly get creative and even recycle and repurpose items like yogurt containers. Whatever container you choose, be sure it supplies adequate drainage (drill drainage holes if they aren’t present). 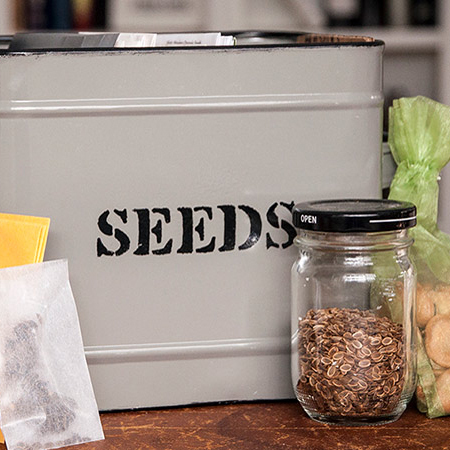 A container also needs to hold its form through the entire seed starting process. Repeated watering can break down some transplant containers. Purchased or homemade paper containers are best suited for seeds that are only started a week or two before they are transplanted. Jiffy pots are a common container and work well. They are also compostable, but lose some of their structure after repeated waterings. Planting the seed at the right depth is vital. Most seed packets will indicate the ideal depth. But if you don’t have access to that information, a good rule of thumb is that the seed needs to be planted at a depth twice the diameter of the seed. Lightly pack the soil in the container. Compacted soil can lead to poor root growth. Lightly water the seeds after planting. Start your hose or watering can away from the soil. A strong stream of water can wash away the soil and undo your careful sowing. Be sure to label your seeds too. 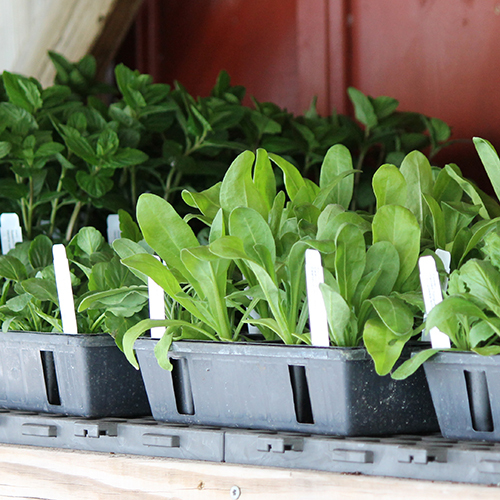 Light: Placing seedling containers in front of a window is often sufficient. Rotate the containers to encourage even plant growth. Supplemental light source: If natural light isn’t adequate, use an additional light source, like a grow light. The light needs to be close enough to the container so that the seedlings don’t get spindly, but adjustable, to accommodate the height of growing plants. Water: Overwatering is more detrimental than underwatering. Check the plants once a day, before noon and at the same time every day, and water as needed. Humidity: You can cover watered plants with plastic domes to retain humidity. (Some people tuck containers in zippered plastic bags.) Remove the covering as soon as seeds have germinated (when you see green poking up from the soil) to allow for good air flow. 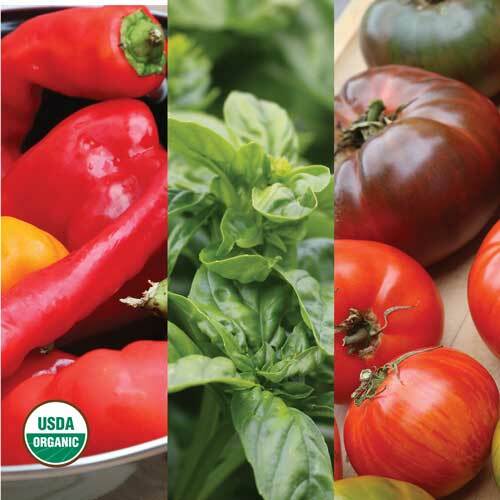 Heat mats are essential for seeds that get a boost from bottom heat such as peppers, melons, and tomatoes. Bottom heat helps establish the plants roots. Don’t fertilize a plant you’ll be taking out in a week or so to harden off (the process before transplanting a plant into the garden). And choose the right fertilizer for your needs. At Seed Savers Exchange, we use a fish emulsion to meet our organic growing requirements. Wait to fertilize until the plant is actively growing and fertilize at a low rate to avoid burning the plants. Pests. As you’re watering, check growth points and the undersides of leaves. Be especially mindful of pests if you have houseplants. Damping off: Caused by botrytis, a fungus that occurs if humidity exceeds 85%. The condition comes on suddenly and is initially seen as seedling collapse. The stem withers and the seedlings topple over. The problem isn’t reversible, but can be prevented by maintaining good air circulation, not over-watering, and ensuring your soil medium is sterile. If damping off occurs, remove the affected seedling as soon as possible and maybe even some of the surrounding soil. Leggy plants/spindly growth: Look at the lighting situation. If it’s been particularly cloudy or you live in a northern region, you may need to use supplemental lighting. High temperatures cause rapid growth and can also lead to leggy plants. Larger, older plants can also compete for light when they are close together. Space plants farther apart so that they don’t compete for resources. Poor root growth: Poor drainage is one cause of poor root growth and can be prevented by using containers with adequate drainage. Too low temperatures and low fertility can also lead to poor root growth, as can compacted soil. 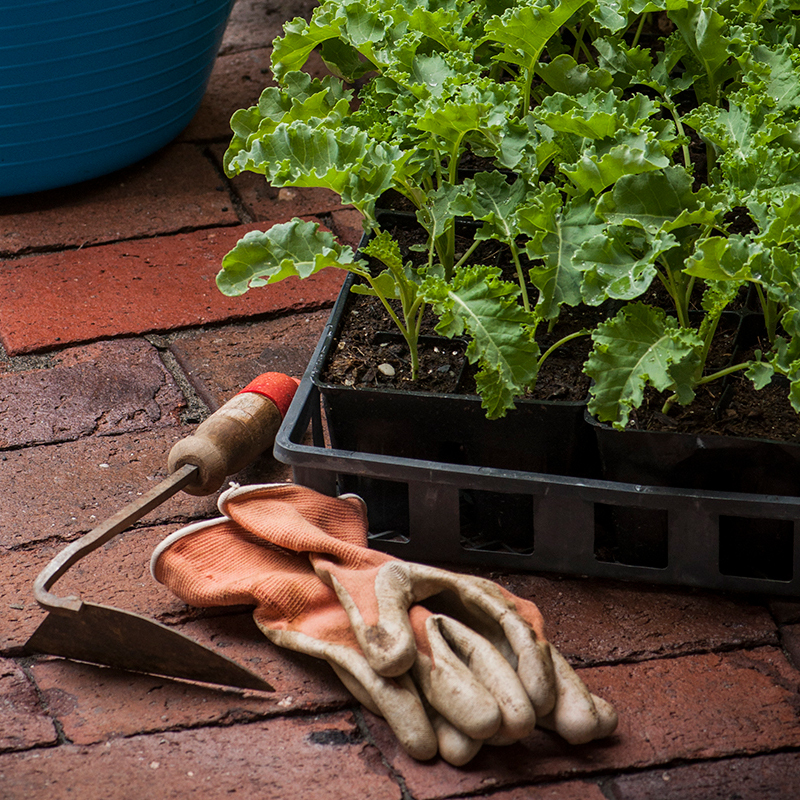 When you are potting, make sure you don’t pack the soil too tightly. The New Seed Starters Handbook is the go-to guide for seed starting and includes guides for more than 200 plants, plus plenty of must-know tips and tricks.